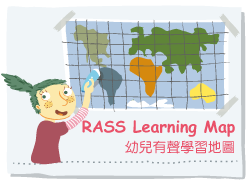 RASS LANGUAGE was founded in Hong Kong in 1998 to import and distribute kids' books from the US, Europe and Japan. Since 2002, we shifted to publishing EFL (Learning English as Foreign Language) materials for kids coupled with audio CD and animated DVD to create interest and fun. We are now a leader in this category with a market share of 30% in Taiwan, Hong Kong and mainland China. Our own products such as "Go! Phonics" are now exported to other markets via local publishers such as Gridmark Inc. in Japan. These titles are also highly recommended by “Battersea Publishing” in UK and “Successful Reader” in USA. In 2004, we developed and issued "Magic Pal" e-learning series for kids aged 2-6 studying in kindergarten. It has been revamped and re-launched in 2009 to include "i-pen" as learning aid. In 2007, we published "Hand in Hand" for kindergarten students, which is now widely used by over 30,000 students in 1,000 schools all over Taiwan, Hong Kong and main cities in China. 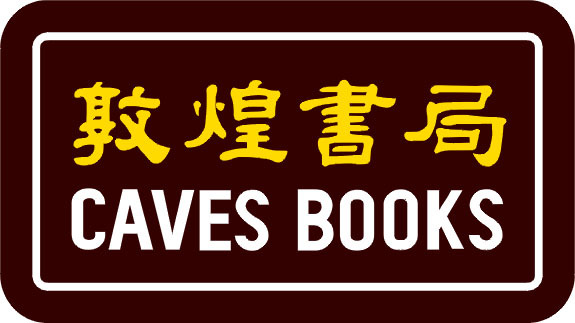 In 2008, we moved our head office to Hong Kong and renamed the company as "Language House Publishing Company" and started to participate in international book fairs in Beijing, Frankfurt and Bologna. We also expanded our market presence in Hong Kong and the Chinese cities of Shanghai, Suzhou, Hangzhou and Guangzhou. Over 100,000 students in more than 1,000 schools in these places are using our titles in their curriculum. To upgrade the learning experience, we have introduced the i-Pen in cooperation with top technology company as our strategic partner. This new product is fun and easy to use. Apart from helping students to listen, its recording function can also help them to speak. This unique combination will create a competitive edge against similar products. Moreover, the i-Pen can only work with original printed materials, thereby effectively preventing pirating acts. We also plan to develop “iSPEAK” series, which is a new series of audio books based on stories and supplemented by poems, songs and chants. All stories will carry drama scripts, making it easy for teachers to use the books to conduct Readers Theatre in class or even make them into drama productions for the stage. All books will come with i-Pen, audio CD, animated DVD and power point for teacher's use. The main obstacle with students learning English in Asia is the lack of a cultural environment to support the learning. Textbooks and story books are often detached from real life and fail to generate interest among students. It is recognized that READING is key to learning English but schools cannot find the right stuff. Foreign materials do not have local relevance while local materials do not deliver native English standard. In very near future, we will co-operate with a famous children’s English magazine for their high quality contents. The inclusion of an i-Pen in the subscription will create added value and unique product benefit. The iSPEAK magazine works for both teachers and students. Teachers do not need to worry about the constant search for suitable reading materials. They can rely on these monthly titles to provide regular reading for their students outside the classroom. Students will not be forced to read educational readers which may not interest them. They can read a magazine with contents related to day-to-day life happening around them. Moreover, its content has been suitably localized along the same style and direction, poems, stories and games are fun for every reader. Nowadays, most parents highly concern about “Early Education”, so we set up the “Family Club” for the parents with age 0-3, 3-6 children. The club provides selective reading and learning materials, sharing teaching methods among our members. All in all, we believe that learning begins since the baby was born. It takes place everywhere and all the time. It should be fun, full of happiness.